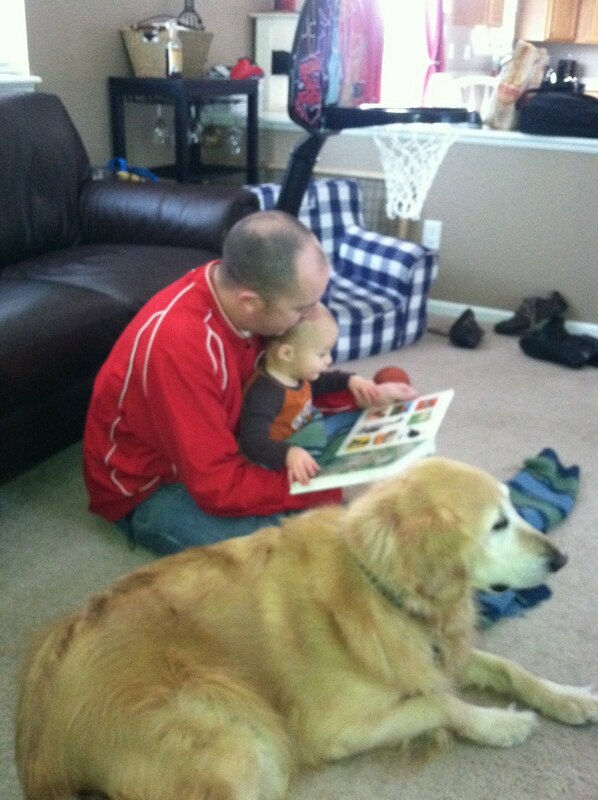 I have to get some of these cute pictures off my phone! 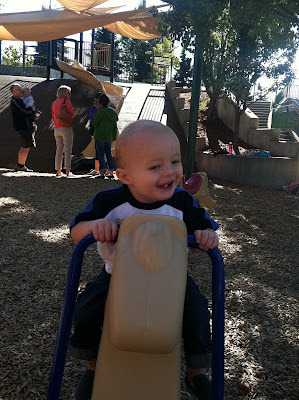 We took Paul to the "fancy" park and he loved riding on this plastic horse! Look at that face! 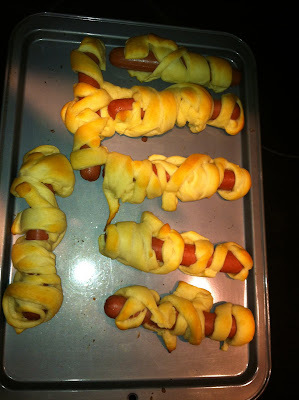 When we went by my mom's house for Halloween to show off our Dragon and she made Mummy hot dogs. Paul LOVED them. I don't know if he had ever had a hot dog in his little life, but it may be his new favorite. My mom assured me they were "healthy" hot dogs. 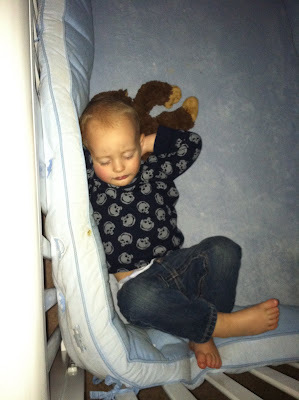 I always find Paul in the strangest sleeping positions. Here he is laying on top of his monkey and legs elevated on the bumper. Yes, we still have the bumpers. He loves them. Don't judge. As we all know, Paul loves basketball. 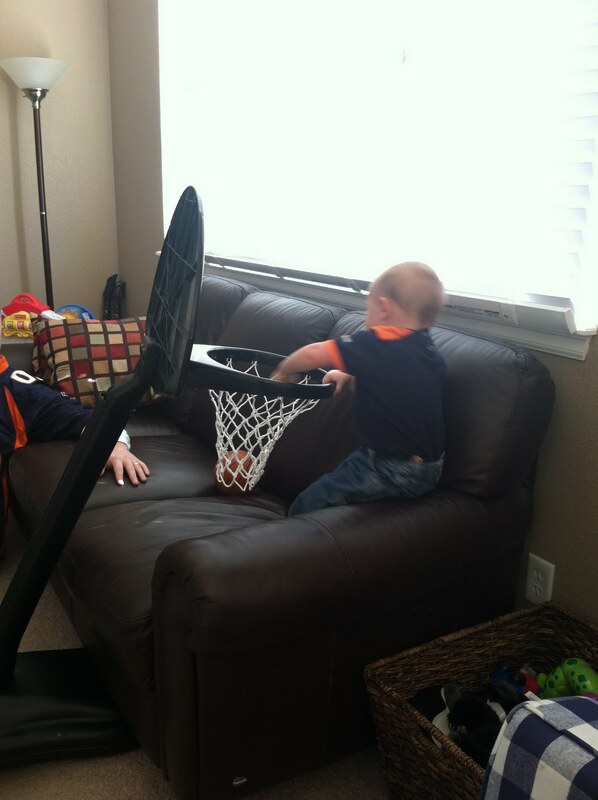 Now he has a new trick of straddling the couch and slam dunking. He is pretty proud of himself. Is there anything sweeter than all 3 boys of the house reading books together? I don't think so! I was just thinking about ordering a bumper for Collin because he is constantly getting crib rail marks on his head. Plus, you are about a year past the "bumper danger zone"! I took him to the fancy park today.. he tried everything out .. G G is tired !